Chaim Woolf has obtain approval from the United States Patent and Trademark Office for the trademark of TK Kosher, a kosher certification service. Consumers who see the following symbol on any packaging: can be assured that product has been certified by Kosher under the auspices of Rabbi Yosef Teitlebaum, the owner of this trademark. Woolf & Nachimson, LLP has moved. 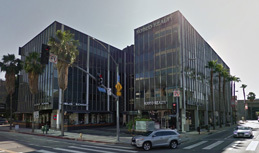 Our new address is 1100 Glendon Avenue, 15th Floor, Los Angeles, CA 90024.